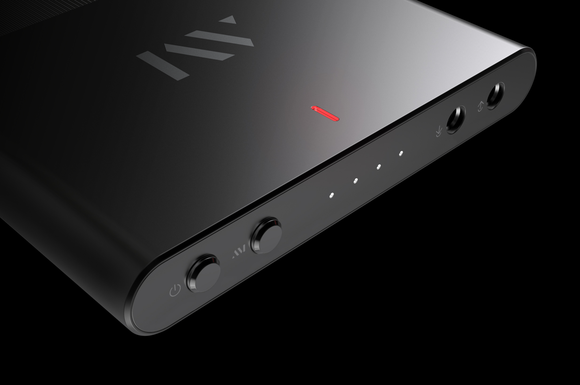 Ordinary audio goes into this black box; extraordinary audio comes out. What's the secret? Anyone who’s experienced the frustration of adjusting their TV’s volume up and down just to hear dialog clearly will want to know about the AfterMaster Pro. It’s an easy-to-use, smartphone-sized box that promises to instantly improve the sound of any source, although the company’s primary target audience is people who want to improve the audio accompanying video. 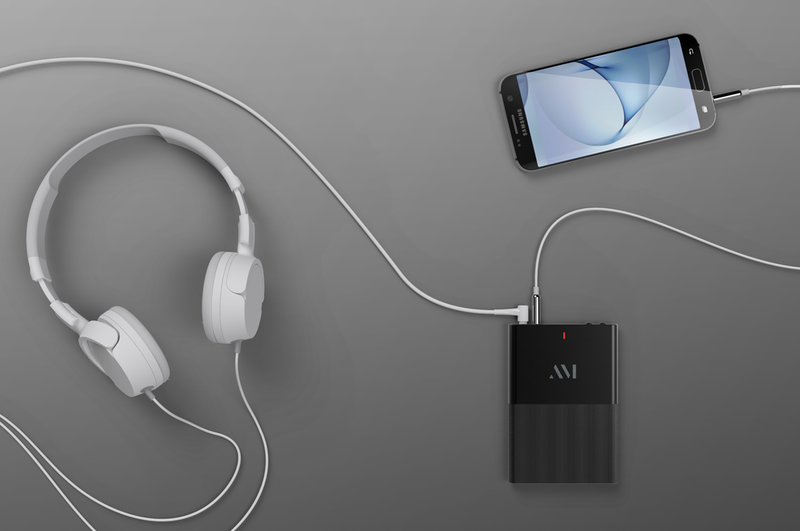 AfterMaster completed successful crowd-funding campaigns on KickStarter (raising more than $300,000) and Indiegogo (an additional $400,000 plus). After narrowing its product line from three models to just one, the company is now taking preorders on Indiegogo, with delivery expected in July. 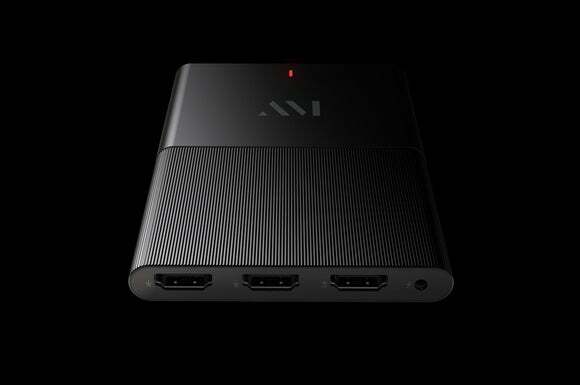 After spending some quality time with an early AfterMaster prototype, which doesn’t have the second HDMI input nor the analog headphone output that will be in the final product, I have a high degree of confidence that the company will deliver on its promises. Since the final design will be slightly different, however, read this as a hands-on preview and not a final rated review. The team behind the AfterMaster Pro includes CEO and founder Larry Ryckman; recording engineer Shelly Yakus, who’s worked with a slew of artists ranging from John Lennon to Joan Armatrading; and recording artist Justin Timberlake. They claim that with the touch of a button, the AfterMaster Pro will make dialog louder and more clear while also giving you fuller and more balanced sound. They also promise their box can smooth out those sometimes rough audio transitions between TV programming and commercials. You’ll be able to connect two audio/video sources to the AfterMaster Pro, choosing from a set-top box, a streaming box, a Blu-ray player, or a game console, for example. How does it work this magic? According to Ryckman, the AfterMaster Pro splits the audio and video segments of an incoming HDMI signal, remasters the audio in real time, and then recombines the bit stream and sends it over its HDMI output. In my experience, the box worked worked as advertised without the audio and video ever falling out of sync. Well, I did manage to get some other nuggets of information. Unlike other short-cut solutions that boost dialog by increasing the narrow frequency band in which vocals reside, Ryckman confided that the AfterMaster Pro works across the entire frequency range. “We do not compromise when it comes to maintaining the integrity of the original recording or work,” he said. The AfterMaster Pro can connect to analog audio sources, too, and it has an analog headphone output. The AfterMaster Pro is designed to work with any audio content you have, including HD 4K/UHD material. 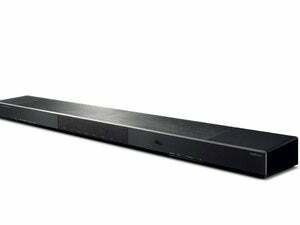 If you have a sound bar or basic home-theater, the AfterMaster Pro should work with that, too. 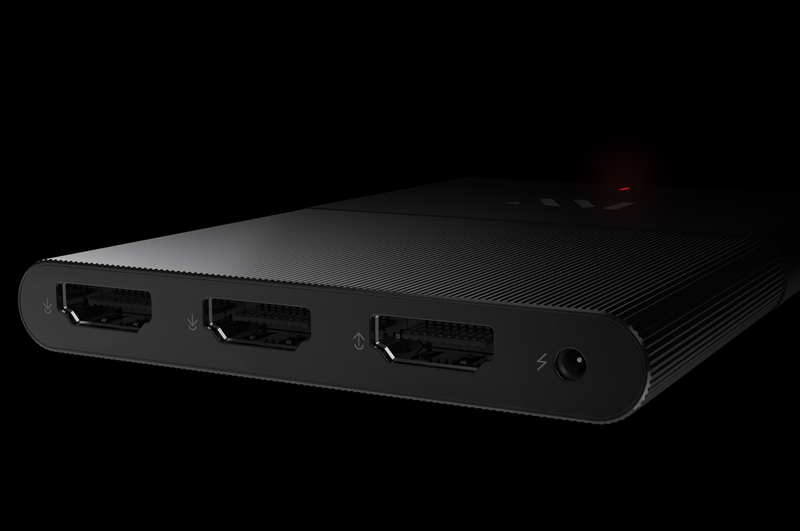 Production units will be outfitted with HDMI 2.0a and HDCP 2.2 copy protection, which means you’ll be able to connect an AfterMaster Pro to a cable or satellite set-top box, a Blu-ray or UltraHD Blu-ray player, or a 4K streaming box (such as the Roku 4 or Amazon Fire TV). The prototype I tested was to be called the AfterMaster TV, so I connected it to a 4th-generation Apple TV. If you’re intimidated by technology, take heart: Setting up the AfterMaster was a piece of cake. I used an HDMI cable to connect the Apple TV’s output to the AfterMaster’s input, and I used a second HDMI cable to connect the AfterMaster’s output to my my Panasonic Viera ZT60 HDTV. I was ready to go in a matter of minutes. 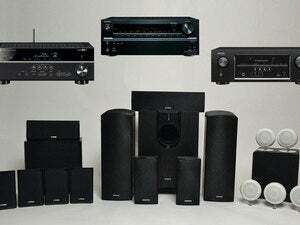 I played different movie and TV content to get a feel how it sounded through the TV. 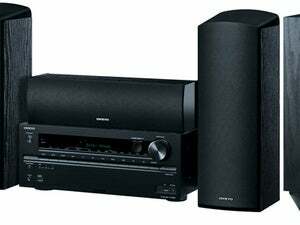 While the Panasonic ZT60’s picture quality is legendary, its audio is downright awful. Could the AfterMaster help? Although the Aftermaster Pro can work with any audio source, its two HDMI ports are its only digital inputs. I can hear clearly now the haze is gone! You don’t need golden ears to hear the unmistakable improvement the AfterMaster made. When I pressed the button to activate it, program dialog immediately snapped into place. While watching Season 1, Episode 8 of ABC’s Agent Carter, for example, the opening starts in an old-fashioned radio studio. The dialog through the ZT60 was smeared, muddy, and lacked depth (and I’m being kind). Activating the AfterMaster TV was a revelation. The radio announcer’s voice popped out from the background music. The triangle strike sound effect in the studio rang out instead of being dull and muffled. The actors portraying Betty Carver and Captain America became immediately intelligible. Regardless of the program material, dialog consistently sounded louder and cleaner with the AfterMaster while remaining balanced with the rest of the soundtrack. When I mean louder, I mean significantly louder. When I pulled out my sound pressure level meter and measured a few show segments with and without the AfterMaster TV engaged, I saw an increase in volume ranging between +4- to +8dB. As a result, I found I could actually lower the volume on the TV and still hear things intelligibly. The loudness gain wasn’t linear, however; playing a segment with and without AfterMaster TV engaged didn’t result in a constant +4dB boost—it varied. The AfterMaster Pro that ships will have a headphone output, a feature that wasn't present in the prototype I tested. 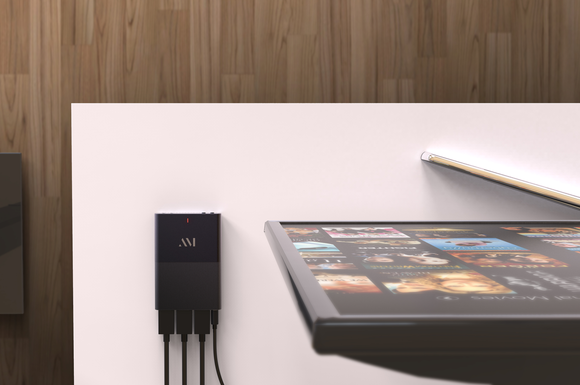 The AfterMaster Pro is available for pre-order now for $150, $20 off its final retail price. Other early-bird discounts, some time-limited, are also available. We’ll have a final hands-on review as soon as the company can provide us with a shipping unit.